Do you work in the food or food service industry? If so, have you considered migrating to Australia? The door is open for skilled and employment visas. Australia has one of the most diverse food palates in the world. As a nation we have been built upon the cultures of many other nations – starting with the British (who admittedly didn’t contribute much in the culinary stakes!) to the Afghans who helped access the vast interior, the Chinese, Italians and Germans who came for the Gold Rush and subsequent national infrastructure projects such as the Snowy Mountains Scheme to the more recent Asian migrants. In Australia today, food has become even more diverse, and restaurants, eateries, food trucks and cafes are continuously opening. Fresh, raw, local, organic, fusion and everything in-between – the food industry is thriving across Australia. While New South Wales offers the greatest number of opportunities both in the major cities and regional areas, the food revolution is booming right across the country. Many smaller regional areas are becoming known for specialist culinary outlets that showcase local farmers and suppliers. And many of these food businesses – restaurants, hotels, function centres – need to supplement their workforce with specialist chefs and hospitality professionals. There are several options to apply to live and work as a chef or cook in Australia. An experienced and/or qualified chef can access employer sponsored visas (the 457, ENS or RSMS), a great option if your prospective employer is willing and able to sponsor you. The employer could be a small restaurant with specialized cuisine, a large hotel, an events centre or catering company. You would be employed according to Australian standards and workplace legislation, including wages and working conditions. You would need vocational English. General skilled migration is also available to chefs and cooks, who would need to first obtain a skills assessment. If hospitality is your life, and you have qualifications for management positions, there are opportunities to apply under the employment (457, ENS, RSMS) and GSM programmes. English language proficiency is a requirement – the better your proficiency the bigger the advantage – and your skills may need to be formally assessed. Click here for more Skills Recognition Information . 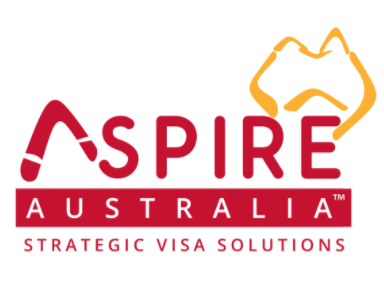 Look for job openings in regional areas if you wish to apply for a Regional Skilled Migration Scheme visa (RSMS). Regional Australia covers all of Australia except Sydney, Newcastle and Wollongong in NSW, Brisbane metro and Gold Coast areas in Queensland and the Melbourne metro area of Victoria. Consider stand alone restaurants, restaurants in hotels, hotels either small or large or resorts. Discover more about the various employer sponsored categories and compare the criteria by clicking here.